Asser International Sports Law Blog | The Court of Arbitration for Sport after Pechstein: Reform or Revolution? The Pechstein ruling of the Oberlandesgericht (OLG) München rocked the sports arbitration world earlier this year (see our initial commentary of the decision here and a longer version here). The decision has been appealed to the German Bundesgerichtshof (BGH), the highest German civil court, and the final word on the matter is not expected before 2016. In any event, the case has the merit of putting a long-overdue reform of the Court of Arbitration for Sport (CAS) back on the agenda. The last notable reform of the structure and functioning of the CAS dates back to 1994, and was already triggered by a court ruling, namely the famous Gundel case of the Swiss Federal Tribunal (SFT). Since then, the role of the CAS has shifted and its practical significance has radically changed (the growth of CAS’s caseload has been exponential). It has become the most visible arbitration court in Switzerland in terms of the number of awards appealed to the SFT, but more importantly it deals with all the high-profile disputes that arise in global sport: think, for instance, of Pistorius, the recent Dutee Chand decision or the upcoming FIFA elections. In response to the Pechstein ruling, the CAS issued a press release claiming “that the findings of the Munich Appeals Court [the OLG] are based on the CAS rules and organization in force in 2009, when Claudia Pechstein appealed before CAS, and do not take into account the changes leading to the current organization, with amended procedural rules regarding the nomination of arbitrators, development of the legal aid program and the appointment of new ICAS Members not active in or connected to sports-bodies”. The CAS administration implied that the decision would have been different if the OLG had taken into account the current rules. This is a slightly misleading statement. The OLG’s reasoning as to the CAS’s lack of independence was based on various features of CAS procedure that are still in place today, most notably the composition of the CAS governing body: the International Council of Arbitration for Sport (ICAS). In the same press release, the CAS emphasizes that “[i]t is always prepared to listen and analyze the requests and suggestions of its potential users i.e. the athletes, sports federations and other sports entities, in order to continue its development with appropriate reforms”. If it is to avoid a true revolution targeting (and potentially destroying) CAS arbitration, it should better put its money where its mouth is and urgently initiate an inclusive and participative reform procedure. Such a reform process ought to bring to the table not only the Sports Governing Bodies (SGBs), as was the case after the Gundel ruling, but also representatives of athletes and public authorities. This long blog post aims at providing a blueprint to start thinking about how to reform the CAS. It will highlight the key issues that need to be discussed and make 10 preliminary (and necessarily incomplete) proposals. Three pillars for a reform of CAS are identified: independence, transparency and access to justice. The Pechstein ruling of the OLG focuses mainly on the question of the independence of the CAS (and chiefly the ICAS). This is not a new matter of concern. Over the years, there has been mounting academic scholarship putting this independence into doubt. However, the SFT sided with the CAS and shielded it from challenges, until the OLG München begged to differ. In fact, ensuring independence ought to be the fundamental objective of any future reform of the CAS. In my view, this is not so much about securing the institution’s financial independence from the SGBs, nor should the CAS’s financial reliance on the SGBs be seen as a big threat to its independence, as long as its management is truly independent. Indeed, it is the SGBs’ duty, in the interest of sports, to finance the CAS via a form of tax on their revenues. The true issues to be tackled in relation to independence arise from the composition of the ICAS, the identity and role of the President of the CAS Appeals Division and the closed list of arbitrators. The ICAS is the body in charge of taking the most significant institutional decisions in the life of the CAS. It decides, in particular, who gets to be a CAS arbitrator, who gets to be the president of the CAS appeal division, and who gets to be the secretary general of the CAS. It also rules on challenges to the independence of arbitrators. In short, the ICAS decides all the main institutional matters which have a decisive influence on the broader legal orientations of the CAS and its jurisprudence. This powerful body, sitting quietly at the top of the CAS, is all but independent. Three fifths of its current members are selected by the SGBs, and that group, in turn, selects the remaining two fifths of the members. It is natural that the SGBs would pick individuals who share their views on the application of their rules and more broadly their mindset in relation to the management of sports. Thus, many ICAS members have had (or still have) a career inside national and international SGBs, and several among them have acted as legal advisors to the SGBs. The President of the ICAS himself, John Coates, is the Vice-president of the IOC. Can you imagine, for example, the Vice-president of the United States presiding at the same time over the Supreme Court? How can such a homogenous group of people be deemed independent from the collective interest and views of the members of the Olympic movement? Simply put, it can’t and it isn’t. This is the crux of the OLG’s decision in Pechstein and it is extremely difficult not to be convinced by it. However, and this is a legitimate question, how should we then select ICAS members? There are in my view two solutions that ideally should be combined. On the one hand, a slight change should be made to the CAS statutes, imposing that only 4 of the ICAS members shall be selected by the SGBs, while the next 4 shall be selected by representatives of the athletes (at a specific conference or assembly including, for example, FIFPro, UNI World Athletes, EU Athletes, and the IOC Athletes' Commission), and the final 12 members shall be picked by the first 8. By empowering athlete representatives to appoint half of the first 8 members of ICAS, the CAS would automatically ensure the independence and impartiality of the additional 12 (neutral) ICAS members, who would still have the upper hand on the two partisan fractions inside ICAS. On the other hand, it is necessary to impose stringent individual requirements of independence for all ICAS members. They should both fulfill qualitative requirements (i.e. show some legal credentials) and be subjected to strict conflicts of interests restrictions (i.e. ICAS members must sever all personal, contractual and financial ties with SGBs and athlete representatives). In short, no IOC or FIFPro member should be able to have a seat at the ICAS’s table. This is a preliminary proposal and other analogical solutions can be devised. It aims at tackling the two core challenges for the independence of ICAS: its selection procedure and the individual independence of its members. Recommendation 1: Change the selection procedure for ICAS members, with SGBs to select 4 members, athletes’ representatives to select 4 other members, and those 8 members together jointly selecting the remaining 12 members. Recommendation 2: Impose a strict regime governing conflicts of interest for ICAS members. ICAS members should forego all their mandates within the SGBs and sever all contractual and other ties susceptible of giving rise to a conflict of interest. The Appeals Division of the CAS is for our purposes (as well as in quantitative terms) the only one that truly matters. Indeed, it deals with all the disputes related to doping and transfer cases, but also those arising from disciplinary sanctions imposed by the SGBs and their political decisions. In short, the appeals procedure transforms the CAS in the ‘Supreme Court of World Sport’ as the saying goes. In Pechstein, the OLG was particularly troubled with the way in which the president of each appeal panel is selected. Basically, as provided by article R54 of the CAS Code, the president of the Appeals Division decides who is to be the president of a specific appeal panel. He or she will consult the arbitrators nominated by the parties, but their suggestions are not binding. In fact, especially when they disagree, the Division President is the one that decides who is to chair the panel, and, thus, who is most likely to tilt the balance in one direction or another. Consequently, the President of the Appeals Division occupies probably the most important and powerful position at the CAS. You wouldn’t guess who was occupying this position until 2013…Thomas Bach, the current IOC President. The current holder is Ms. Corinne Schmidhauser, herself a President of Antidoping Switzerland and a member of the Legal Committee of FIS (Fédération Internationale de Ski). Athletes challenging an anti-doping decision cannot be expected to believe in the independence of a panel which has been composed, to a significant (decisive) extent, by someone so directly involved in the anti-doping fight and thus necessarily and inevitably partisan of the work done by anti-doping authorities. The position of head of the CAS Appeals Division is so crucial, that it cannot be occupied by anybody who is closely connected to any one side of the sporting world. The designation process must ensure that the person selected is universally perceived as independent and impartial. Only by ensuring that he or she has no direct and personal, contractual or financial links with the SGBs can the CAS preserve its independence and legitimacy. Recommendation 3: Impose a regime of incompatibilities to the President of the Appeals Division. He or she must accept to forego all his or her mandates within the SGBs and sever all contractual ties susceptible of giving rise to a conflict of interest. The final, most often discussed, yet in my view less important, point concerns the independence of individual CAS arbitrators. The OLG München pointed out that it is not against a closed list of CAS arbitrators. However, the fact that under the current procedures the arbitrators are selected by a structurally biased ICAS was seen as highly problematic. Even more so due to the lack of transparency as to who had proposed the nomination to the CAS under the pre-2010 rules. Closed lists of arbitrators are a relatively rare occurrence in international arbitration, nonetheless it does make sense to introduce a qualitative limit to who is deemed sufficiently qualified to become an arbitrator in a specific sector, where disputes can raise rather complex “technical” or scientific issues, such as sport (think of some anti-doping cases). This is especially so because CAS arbitration, contrary to commercial arbitration, is mandatory in essence and aims more at providing legal certainty in the global sports sector than at solving individual disputes. This calls for enhanced stability in the judicial personnel. In this regard, some have suggested providing tenure and a fixed wage to CAS arbitrators. This might be difficult to put in place logistically, at least for now, though it is not necessarily a bad idea in the long run. Be that as it may, implementing such measures would still not exonerate the CAS from having to deal with some of the acute problems that arise regarding the independence of CAS arbitrators included on the list. In particular, the phenomenon of so-called repeat arbitrators, ie arbitrators who are nominated several times by the same party, poses a real danger. In such cases, the party that is frequently involved in disputes before the CAS has an edge over the other party because it knows which arbitrator is more susceptible to favor its cause. One way to avoid this bias would be to clearly limit the number of times an arbitrator can be selected by a specific party. Moreover, to put the parties on an equal stand, the CAS would need to publish detailed information on arbitrators’ past nominations (in this regard, see also point II.a. below). Finally, the ICAS should exercise a more stringent standard of control over the independence of individual arbitrators in case of challenge. Nevertheless, if the list is drawn by an independent ICAS and the parties have the possibility to know better the record of each arbitrator and have a true ability to challenge them in case of doubt, the existence of a closed list does not seem to be as such a structural limitation to the independence of the CAS. Recommendation 4: Limit the number of times an arbitrator can be nominated by a specific party (e.g. 5 times during his or her four-year mandate). Recommendation 5: CAS to provide detailed information on each arbitrator’s past nominations. Recommendation 6: ICAS to exercise a more stringent control over the independence and impartiality of CAS arbitrators in case of challenge. The OLG in Pechstein did not tackle the question of the lack of transparency of the CAS. Yet, some authors have insisted that as the jurisdiction of CAS is mandatory for athletes wanting to participate in international competitions (as the Olympic Games or, as in Pechstein’s case, the world championships) its processes should abide by the standards of the European Convention of Human Rights. In this regard, the independence of the arbitrators is important, but also the transparency of the judicial process. First, as discussed above, there is a lack of transparency as far as the arbitrators are concerned. The list of CAS arbitrators on the CAS website gives too little substantial information for parties to be comprehensively informed on the arbitrators’ personal jurisprudential record. Here again, due to the phenomena of repeat-players, information asymmetries are indirectly promoted. The parties, mainly SGBs, which have been involved in many CAS arbitration proceedings will typically dispose of an internal database tracking the different positions of CAS arbitrators as they have access to the raw data. The majority of athletes, who are not supported by a strong legal team, will be unable to rely on the same knowledge and will necessarily be in an unfavorable position compared to the SGBs. This calls for full transparency regarding the profile and record of each CAS arbitrator. Similarly, the CAS lacks mandatory disclosure rules regarding the arbitrators’ biographical details. Each arbitrator should have to disclose, in the information included on the CAS website, their past (for example over the last 5 years) and/or present contractual relationships, or other significant personal or financial ties with SGBs and any other relevant stakeholder in sport. Recommendation 7: CAS to impose more stringent ex ante disclosure rules imposing that each CAS arbitrator discloses on the CAS website all present and past (previous 5 years) contractual links with SGBs and other sport stakeholders. What is even more important, also because it would enable the parties and external observers to better check the independence and evaluate the track record of arbitrators, is the systematic publication of CAS awards. Nowadays, the CAS publishes only a limited sample of all the awards rendered by the Appeals Division. Indeed, article R59 CAS Code provides that “[t]he award, a summary and/or a press release setting forth the results of the proceedings shall be made public by CAS, unless both parties agree that they should remain confidential”. It is true that compared to commercial arbitration the CAS is relatively transparent. Yet, commercial arbitration is the wrong benchmark, as the CAS’s function is more akin to that of a court of law. The secrecy might be acceptable, though it remains hotly debated, when two multinationals decide to settle their dispute via arbitration. This state of affairs is, however, totally unsatisfactory in the context of a forced arbitration process. CAS draws its legitimacy from the necessity to provide a global level playing field to settle disputes arising out of international sport. This might be a valid justification to impose the global jurisdiction of the CAS, but in return it must also entail that CAS has the duty to publish all the decisions it renders. This, in fact, could be very easily achieved by amending article R59 CAS Code and by simply deleting its final sentence indicating that the award is published “unless both parties agree that they should remain confidential”. The full publication of CAS awards is a necessity to secure the equality of arms of the parties to CAS arbitration. Indeed, in the current situation, some actors, often SGBs, have access to much greater pools of CAS awards, which they can refer to, thus improving their chances of prevailing. In contrast the general public and the athletes are unable to critically assess and use the many awards that remain unpublished and therefore inaccessible. A transparent access to all appeal awards is a vital question of procedural justice, and a crucial development in order to subject the CAS and its judicial work to the critical scrutiny of the global public sphere. Recommendation 8: CAS to systematically publish on its website all the CAS awards rendered following the appeal procedure. The CAS is extremely reluctant to publish internal administrative material. In other words, nobody knows precisely the financial records of the CAS or the precise content of the discussions happening inside the ICAS. This is not compatible with the very public function played by the CAS in global sports. With great power, comes great responsibility. Transparency, as a tool serving enhanced public scrutiny, is a key element of CAS’s accountability. Thus, it is important that the CAS adopts transparent administrative practices. It should, for example, publish the minutes of the ICAS meetings and its annual reports. Finally, and this is largely overlooked by many, the CAS has a problem with access to justice. CAS proceedings are too expensive for many athletes who are not part of the 1% elite of superstars. Article R64.1 CAS Code provides that « [u]pon filing of the request/statement of appeal, the Claimant/Appellant shall pay a non-refundable Court Office fee of Swiss francs 1,000 ». Moreover, the parties must pay an advance on the costs of arbitration and bear the costs of their own witnesses, experts and interpreters. Unless the dispute involves a decision by an international federation in disciplinary matters, an appellant will have to bear the costs of the arbitration process, usually several thousands Swiss Francs. Athletes end up in a double bind: they are often constrained to go to the CAS by a mandatory arbitration clause, but cannot afford to do so properly. In recent years, the CAS has started to tackle the issue by introducing two mechanisms: a pro-bono list of CAS lawyers and a procedure granting legal aid to athletes in financial hardship. These steps certainly go in the right direction, but as some with hands-on experience have pointed out, they are still too small and uncertain. Athletes, especially in doping cases, are faced with disputes which require costly scientific investigations, experts must be recruited etc. Thus, they can be forced to waive their access to the national courts (and state legal aid), only if the CAS provides sufficient financial means for them to dispose of a fair chance to present their case, ie to “have their day in the CAS”. It is again a question of equality of arms; SGBs are way richer and enjoy substantial economies of scale thanks to their repeat player status. This potential inequality before sporting justice runs counter to the very essence of a fair process, and should be remedied. This will be possible only if the SGBs which provide for CAS arbitration in their regulations accept to take on a larger share of the costs of CAS proceedings, for instance by paying a levy corresponding to a specific share of their revenues. Recommendation 10: CAS to fund, through a levy on the SGBs, a more comprehensive and accessible legal aid scheme for appellants to the CAS that lack sufficient financial resources. Global sport is at a turning point, this time is different, it is truly about “reform or revolution”. As FIFA and IAAF sink more and more into chaos, it becomes clear that one of the sporting challenges of the 21st century will be to democratize and check the massive transnational organizations fuelled by TV and sponsoring money that govern global sport. To this end, the CAS has a key role to play. For example, it will most probably be reviewing the ban imposed by the FIFA Ethics Committee on Michel Platini. More generally, the CAS could become a sort of global constitutional court for sport, reviewing the legislative and administrative decisions of the SGBs. However, this metamorphosis will be realistic only if CAS itself is reformed to match the level of independence, transparency and accessibility needed to ensure its legitimating function. This is exactly the spirit of good governance endorsed by the IOC’s Olympic Agenda 2020 that should guide the whole Olympic movement in the coming years. Now is not the time for the CAS to put its head in the sand and pray for the BGH to overrule the OLG in the Pechstein case. Sure, that might happen. Yet, the BGH cannot magically erase the fundamental questions that have been raised by the lower courts as the case made its way into its docket. It will only be a matter of time for those same questions to pop up again in another judicial forum (be it the ECHR or the CJEU). The independence of ICAS, and therefore of the CAS, is simply too fragile and urgently needs to be buttressed. Let’s not just wait, comme si de rien n’était, for the revolution to come. Now is the time for all interested parties (CAS, SGBs, athletes, public authorities) to come together and shape a comprehensive reform of the CAS that must be guided by the will to ensure a stronger independence, greater transparency and broader access to justice. 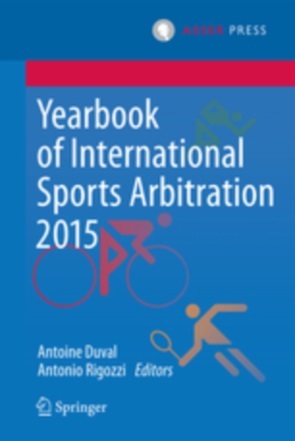 See ten years ago A. Rigozzi, L’arbitrage international en matière de sport, Helbing & Lichtenhahn, Basel, 2005; pp. 289-300 and D. Yi, ‘Turning Medals into Metal : Evaluating the Court of Arbitration of sport as an international tribunal’, 6 Asper Rev. Int’l Bus. & Trade L. 289, 2006. More recently, A. Vaitiekunas, The Court of Arbitration for Sport : Law-Making and the Question of Independence, Stämpfli Verlag, Berne, 2014 and P. Zen-Ruffinen, ‘La nécessaire réforme du Tribunal Arbitral du Sport’ in A. Rigozzi and al (eds), Citius, altius, fortius : mélanges en l'honneur de Denis Oswald, Helbing & Lichtenhahn, Basel, 2012, pp. 555-567. Article S6 para 3 CAS Code (Statutes of ICAS and CAS). Article S6 para 2 CAS Code. Article S6 para 6 CAS Code. Article S6 para 4 CAS Code. 5. four members are appointed by the sixteen members of ICAS listed above, chosen from among personalities independent of the bodies designating the other members of the ICAS. In the current ICAS, 13 (out of 20) members have (or had) direct ties to SGBs if you trust their official bios: Abdullah Al Hayyan, Tjasa Andrée-Prosenc, Patrick Baumann, Scott Blackmun, Alexandra Brilliantova, John D. Coates, Moya Dodd, Ivo Eusebio, Michael B. Lenard, Göran Petersson, Richard W. Pound, Corinne Schmidhauser, Tricia C.M. Smith. None of the 20 has any ties with athletes’ representative organisations. A. Vaitiekunas, The Court of Arbitration for Sport: Law-Making and the Question of Independence, Stämpfli Verlag, Berne, 2014, p. 199. R. Muresan and N. Korff, ‘Sportschiedsgerichtsbarkeit: Wie weiter nach dem « Pechstein-Urteil » des Landgerichts München?’, Causa Sport 3/2014, pp. 199-211. Article R33 CAS Code only stipulates that «Every arbitrator shall be and remain impartial and independent of the parties and shall immediately disclose any circumstances which may affect his independence with respect to any of the parties». 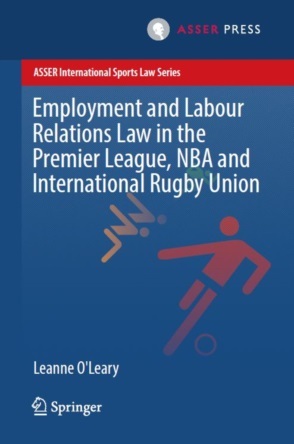 But not by all see A. Rigozzi & F. Robert-Tissot, ‘"Consent" in Sports Arbitration: Its Multiple Aspects’, E. Geisinger & E. Trabaldo de Mestral (eds), Sports Arbitration: A Coach for other players?, ASA Special Series No. 41, pp. 59-95, at 73-81. This is true also in case of an appeal against decisions issued by international federations in disciplinary matters, see article R65.2 CAS Code. See article R64.2 and R64.3 CAS Code. See article R65 CAS Code. A. Rigozzi & F. Robert-Tissot, ‘"Consent" in Sports Arbitration: Its Multiple Aspects’, E. Geisinger & E. Trabaldo de Mestral (eds), Sports Arbitration: A Coach for other players?, ASA Special Series No. 41, pp. 59-95, at 73-81.